When you send specific message, you may need to send a blind copy to a person, just to let him know the case. That is easy if you send a single message. But sometimes dozens of specific messages a day should be sent to such persons as well, without informing your main recipient about the blind copy. Or, we may need to send a copy to our secondary e-mail. And we can forget to add our hidden recipient to the message. That’s all! 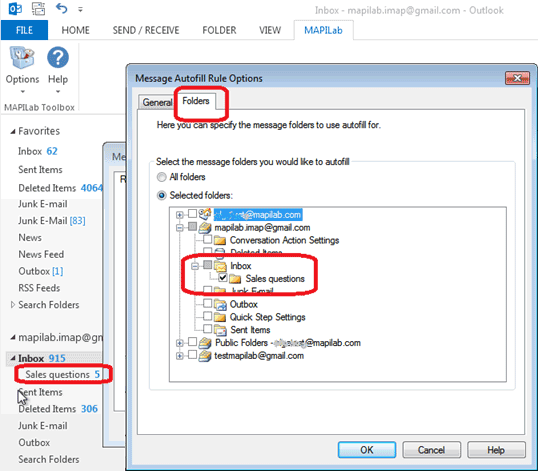 Now, a copy of every message replied or forwarded from our specific folder, will go to our hidden recipient. 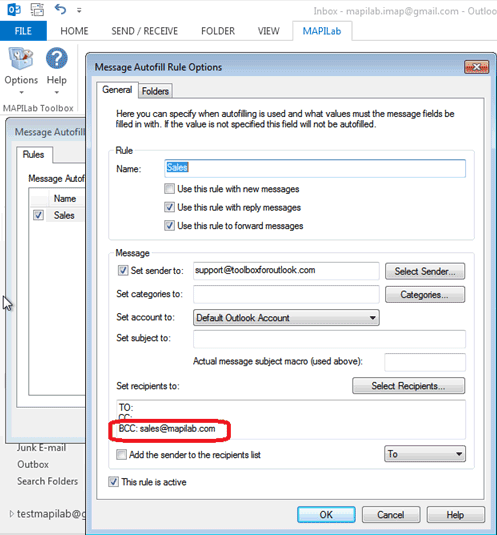 Using Message Autofill app does not warrant that messages reach final recipients, unfortunately, but it simplifies operations with outgoing mail.